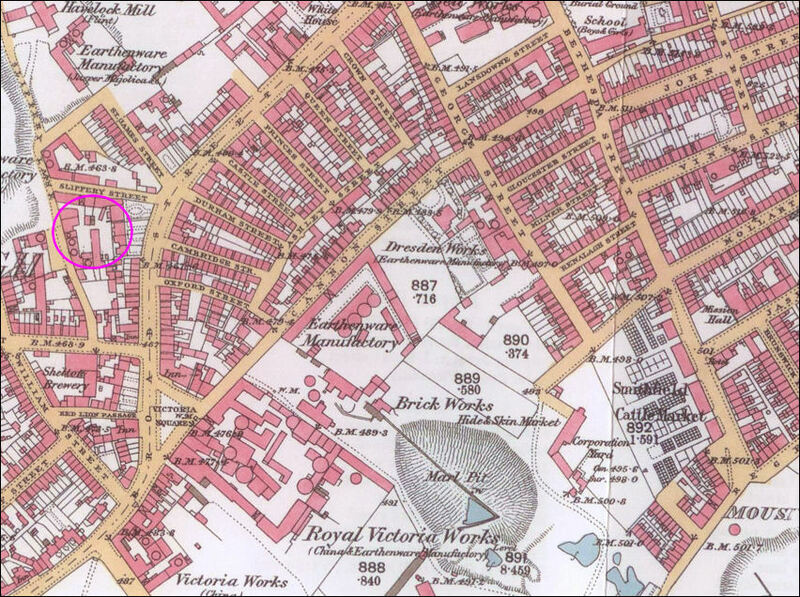 note: the directories give the name as Mary Massey not J. Massey. 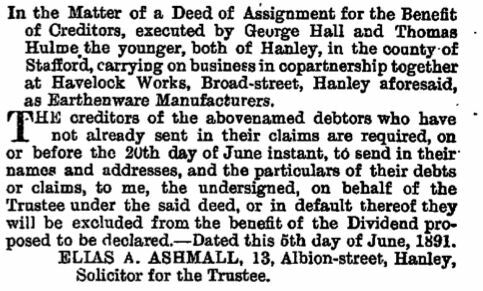 Trade directories record Mrs. Mary Massey at Mayer Street Works in 1879 & 1880 and then at Broad Street (Havelock Works) in 1882.
c.1891 George Hall & Thomas Hulme were earthenware manufacturers at Havelock Works, Broad Street, Hanley. 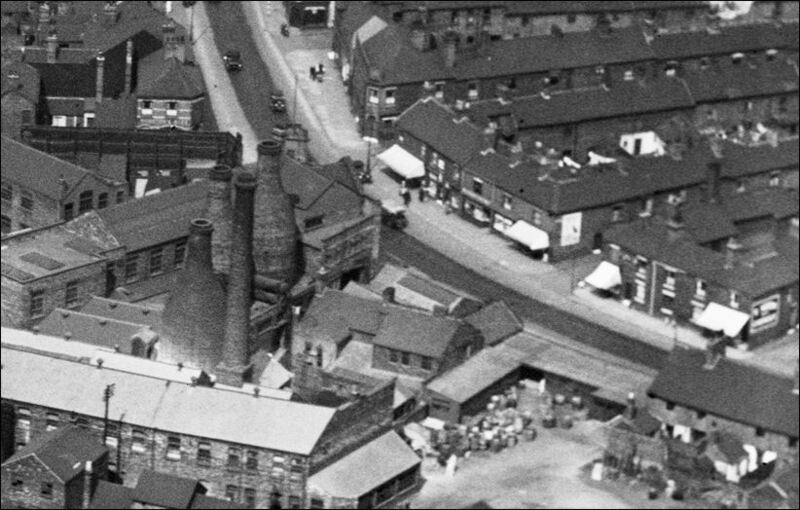 It appears that the works were at one time called the Kensington Pottery - in a 1907 directory A. Bullock & Co. operated as earthenware manufacturers at the Kensington Pottery, Slippery Street. 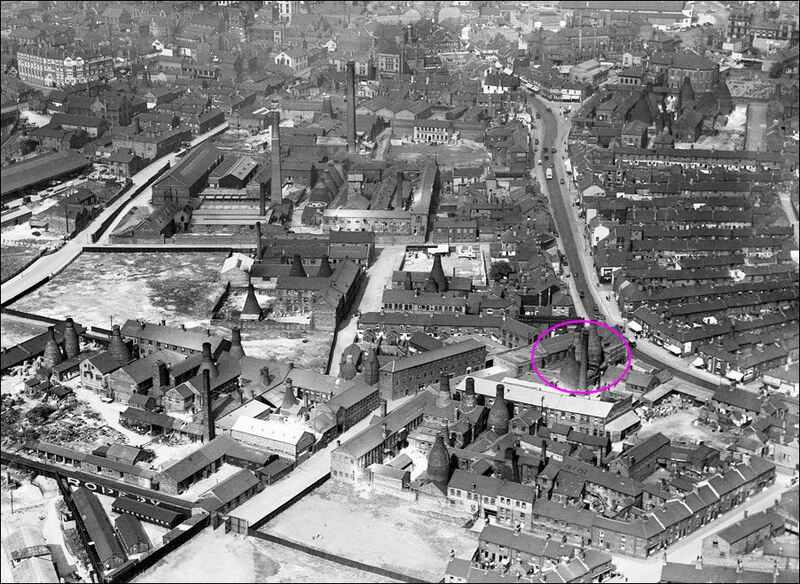 The 1924 OS map identifies this factory as the Havelock Works - it is shown as such until at least 1950.